In this episode of "Ask a Death Doula," we talk all about the spiritual component of life, death, and yes-afterlife. My guest Rev. Terri Daniel, MA, CT is a clinical chaplain, end-of-life educator and trauma specialist certified in death, dying and bereavement by the Association of Death Education and Counseling. The focus of her work is to assist dying and grieving individuals to discover a more spiritually-spacious understanding of death and beyond. Terri conducts workshops throughout the U.S. to help the dying and the bereaved find healing through meditative, ceremonial and therapeutic processes that focus on inner transformation rather than external events. Her work is acclaimed by physicians, hospice workers, grief counselors and clergy for its pinpoint clarity on the process of dying and grieving, and its heartfelt depiction of consciousness beyond the physical body. Her unique form of "radical mysticism" incorporates elements of Buddhism, Shamanism, ancient pagan practices, Gnosticism and other spiritual traditions to break down limiting beliefs about forgiveness, divine judgment, and negative experience. 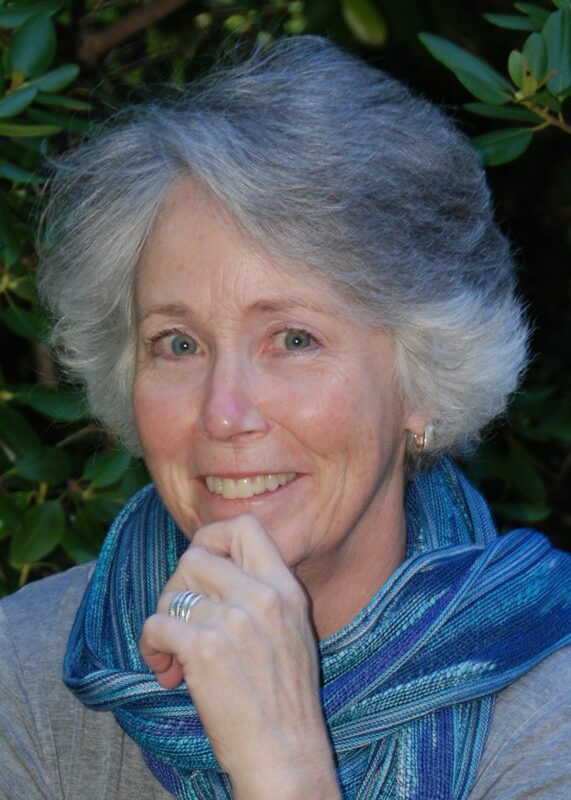 Terri has a BA in Religious Studies from Marylhurst University, an MA in Pastoral Care & Counseling from Fordham University, and is currently doing doctoral research on spirituality and grief at the San Francisco Theological Seminary. She is the author of three books on death and the afterlife and is also the founder of the annual Afterlife Awareness Conference. If you're a family caregiver, community volunteer, or are interested in becoming a Certified End of Life Doula Practitioner, follow the link below to join Suzanne for her FREE Introductory End-of-Life Doula Training! Learn how to give the gift of Peace of Mind at the End of Life to yourself and your family members by signing up for Suzanne's Peace of Mind Planner course! Follow the link below to learn about the five keys to achieving Peace of Mind at the End of Life. Suzanne B. O’Brien, RN Interviews Deanna Cochran, RN and Shares Deanna’s New Book! This week on "Ask a Death Doula" my guest is Deanna Cochran RN. Deanna Cochran, is a hospice RN since 2000. She is Founder and CEO of Quality of Life Care since 2005 and has been a palliative care educator, end of life doula in private practice, and creator and trainer of her signature program: Accompanying the Dying: A Practical Guide and Awareness Training, the first Certificate program of its kind in 2010. She is one of the earliest voices in the end of life doula movement and is presently honored to serve as Chair of the newly formed End of Life Doula Advisory Council within the National Hospice and Palliative Care Organization and is a founding member and was 1st Vice President of the National End of Life Doula Alliance. She believes in unity in this grassroots death positive movement and contributes all she can to special projects with others. Her latest is The National Certificate for End-of-Life Doula Hospice Programs (NCEHP) where she is a partner with Suzanne O’Brien, RN. Together they are presenting hospice organizations with an end-of-life doula program development template complete with all full training to create their own unique hospice doula program. She is the author of the book: Accompanying the Dying: Practical, Heart-Centered Wisdom for End-of-Life Doulas and Healthcare Advocates. On this episode of Ask a Death Doula, I will share with you the 5 keys to achieving peace of mind at the end of life. Hear first- hand stories from patients themselves. Find out what people are most worried about regarding the end of life and how to relieve these concerns. The Peace of Mind Planner course is a complete A-Z planning guide that includes everything from pre-planning your end of life wishes in all 5 categories, (Physical, Mental, Emotional, Spiritual and Financial) including the necessary paperwork to insure your wishes are upheld all the way through the end of life process up until celebrating your loved one after death. The Peace of Mind Planner course is a holistic approach to covering all 5 of these categories to ensure that you have complete peace of mind with how you want to be remembered, celebrated and honored at the end of your life. This course encompasses all the necessary components of what is needed for an end of life experience that is financially the best, emotionally the best and environmentally the best. These are concerns that people have been expressing to me for the last 10+ years and are still looking for the answers to. In this episode of "Ask a Death Doula", my guest, the former president of The National Home Funeral Alliance Lee Webster, breaks down Home Wakes/Home Funerals in a way that every individual and End of Life Practitioner can understand! My guest Lee Webster is a career writer, editor and researcher, and frequent speaker and published author on funeral reform, including end-of-life support, home funerals, and natural burials. She is the Director of New Hampshire Funeral Resources, Education & Advocacy, former President of the National Home Funeral Alliance, and has served on the NHPCO End-of-Life Doula Council. She currently serves as a founding member on the Board of the National End-of-Life Doula Alliance and with the Conservation Burial Alliance and the Green Burial Council. Along with consulting for end of life, home funeral and green burial causes, her writing has appeared in various mainstream magazines, newspapers, and in funeral trade outlets. She is also a frequent speaker to local and national academic, health, and conservation organizations throughout the country. What is a home wake? The benefits of the green burial movement. How education is the key to positive change. The importance of empowering families and communities with holistic, sustainable and family-based tools, skills and information in the care of the dying and the dead. How home wakes have proven to help families to have a much better bereavement process after the death of their loved one. The secret to transforming our culture is by educating and once again bring back relationships with aging, dying and death. What an individual needs to know to have a home wake? What is the role of the End of Life Doula/Death Doula in assisting a family to have a home wake? What are the laws both state and federal regarding homes wakes? In this episode of "Ask Death Doula" I will be interviewing Dawn Whelan of The International Doulagivers Foundation. We will be discussing the birth of "World Training Day" and how people can participate in hosting an event or just share the outreach attend one. 5) How working together on a global level with education, kindness and compassion can change the world! On April 20th, 2019 the International Doulagivers Foundation will be presenting the Doulagivers Free Level 1 End of Life DoulaTraining in locations all around the world. "It is a great reminder that no matter where you live in the world, what culture, religion or socioeconomic status, we all are connected in this thing called end of life. We should and can be there for one another, sharing education and resources, and making the inevitable death experience as positive as possible," said O'Brien. The goal of the International Doulagivers Foundation is to support communities worldwide with Free Level 1 End of Life Doula Community Caregiving Training. The training has been used by people in over eight countries. This is why INDGF has a global outreach program to share this training worldwide with anyone who would like to take it. INDGF knows that education and engagement are the keys to peaceful passing. World Training Day is a community-driven initiative sparked by the International Doulagivers Foundation, a new nonprofit organization whose purpose is to host a public education program that takes the fear out of end of life. Suzanne B. O’Brien RN is the proud Founder and Creator of the award-winning program Doulagivers: End of Life Doula Training, Eldercare Doula Training, and Doulagiver Care Consultant Training. “Awarded Worldwide Leader In Healthcare” by the International Nurses Association for creating Doulagivers, she is also an end of life educator, consultant and author of the #1 International Bestselling book Creating Positive Passings & End of Life Doula Level 1 Caregiver Training (2015) — a guide to learning the invaluable skills of how to care for someone at the end of life. Suzanne is a founding member of the National Hospice and Palliative Care Organization (NHPCO) End of Life Doula Council. NHPCO is the leading hospice and palliative care membership organization in the U.S. has formed this Council to provide information and resources to its members, affiliated organizations, and the public regarding the role of end-of-life doulas. 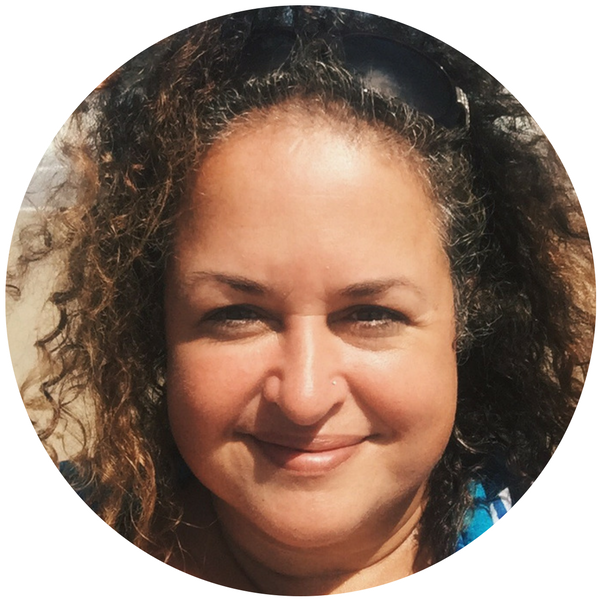 Suzanne is also the Vice President and founding member of the NEDA National End of Life Doula Alliance which is a 501c6 Nonprofit Business League for EOLDs.
" Doulagivers Level 1 training was a Godsend for me and my friends. I found Suzanne’s class while researching how to support a friend who was diagnosed with glioblastoma, an aggressive, terminal brain cancer. The class provides all the helpful information we needed to support our friend during his end of life experience. I gained so much through this course, that I ended up going back and donating money for the class! Do yourself a favor and take this course, and if you can, donate! It’s more than worth it! Thank you Doulagivers and Suzanne for making a terrible loss a little less scary and much more profound." -Jana H. U.S.
"In Suzanne O'Brien's End of Life Doula Training Class, you will learn interventions to manage a continued state of comfort and peace for patients and loved ones. I was honored to take her class and am looking forward to utilizing the skills I learned for the benefit of this precious population. 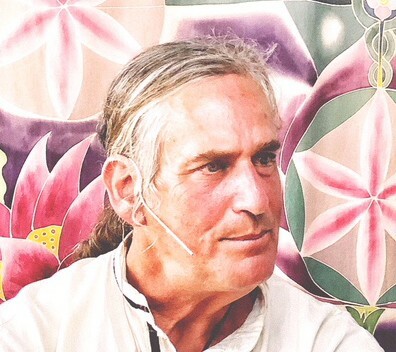 "- Jill B. U.S.
My guest Reverend Bodhi Be has been caring for the dying and teaching others how to provide conscious and compassionate care for those at the end of life through his non-profit organization Doorway Into Light since 2006. Reverend Bodhi Be is an ordained interfaith minister and is the Executive Director of Doorway Into Light. He operates Hawaii’s only nonprofit funeral home, as well as The Death Store, an educational resource center and store on Maui. 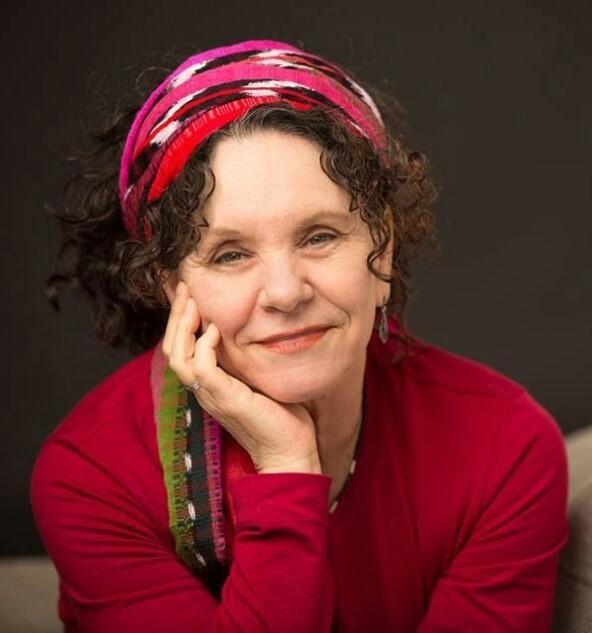 Bodhi is a funeral director, death doula, end-of-life and bereavement counselor, hospice volunteer, a teacher and trainer of death doulas, a speaker and workshop leader in the fields of wholehearted and sacred living and dying, and a ceremonial guide. Bodhi hosts a weekly radio show, ‘Death Tracks’ which streams online. He is a Notary Public, Coffin Maker, Reiki Practitioner and, together with his wife, children, and grandchildren, are off-the-grid organic homesteaders on Maui. The current Healthcare system and the answer to the aging and end of life crisis. How to reclaim the care of the dying and the dead as ‘village building’ work and sacred service. How to Protect and preserve land by utilizing a green burial ground as an economic engine to maintain the land as public commons. In this compelling interview on Ask a Death Doula, I will discuss with Dr Wyatt the state of the present healthcare system and the gaps that we are facing. We will also discuss the answer of how End of Life Doulas can fill that gap and be a much needed support to any healthcare program. The future is bright! Suzanne B. O'Brien RN. In the second installment of Ask a Death Doula, we will be discussing the topic of forgiveness and how Death Doulas can help patients and families give and receive it. Forgiveness is the path to unconditional love. It is a vital component to both patients and families to have a positive end of life experience. We focus on forgiveness during the Stabilization Phase of the patient’s journey. The Stabilization Phase, also referred to as the “Work Phase,” is a time when pain is being managed and all acute issues have been identified and addressed in the Shock Phase, leading to the highest quality of daily life for both the patient and families. It is a time when the patient can interact with those around them and hopefully have lucid conversations. This will allow wonderful work to be done in terms of facilitating conversations and addressing unresolved issues, which will lead to the possibility of forgiveness. As a Death Doula, we want to help patients and families capitalize on this window of opportunity so that they can accomplish finding forgiveness and bring resolution and closure to any lingering issues. By now we have established trust with our patient and created a bond with them, allowing us to conduct a life review and have personal conversations with them. A lot of this work can be done simply by discussing emotions and issues that have been buried within them for many years and patients can do much of this work themselves just by opening-up about their past regrets. We never push, only guide and encourage them to speak about their life during this time. A Life Review is an evaluation of one’s life at the end stage of life where depression, unresolved issues and guilt may be alleviated. It is a tool that Doulas may use to help the patient remember positive memories, find acceptance within themselves, address current negative thoughts so that they may be dispersed, as well as appreciate the worth of their lifetime achievements. It is also important to remember to ask yourself “How can I help this person find closure and forgiveness?” Patients will confide in you and express guilt for things they have held onto from their past. We want to address issues such as disconnection to certain family members that they have not spoken to in a long time. Our patient is dying and if they wish to reach out to someone they have not seen or heard from in many years, it is important for us to attempt to make that possible for them. Bridging relationships and giving them time to speak and resolve issues can make a much more positive end of life experience. We encourage giving private time to the patient and those they wish to mend relations with so that they may feel free to share apologies, as well as give and accept forgiveness from one another. Forgiveness of others is generally much easier to achieve. People tend to hold themselves much more accountable for their own actions when they regret something they have done when they are at end of life, as opposed to others who have caused them pain. Sometimes, however, a patient will not want to offer their forgiveness to someone else. It is important to remind them that forgiveness is for them and not the other person. They are offering it to let go of their resentment so that they can bring peace and tranquility into their life in their final days. One technique we can use to help a patient find forgiveness for someone else is to look at the person who has hurt them as a child themselves. Ask questions such as, “Do you know what their life was like?” This can help turn feelings of anger into feelings of empathy and help us resolve these internal issues. Forgiveness of self is generally more difficult to accomplish, but you must remind the patient that they deserve forgiveness just like everyone else. This is not a time to punish themselves for the past. Forgiveness can change everything and create a positive passing for our patient and their loved ones. In this first part of the Ask a Death Doula series, we will be discussing what to say to someone who has just received a terminal diagnosis. As you can imagine, this can be an extremely emotional and tense period for the patient, as well as their immediate family and friends. When citing the Doulagivers Level 1 End of Life Doula and Family Caregiver Training, this time in a patient’s end of life journey is referred to as the Shock Phase. It is called the Shock Phase because there is often an overwhelming feeling of shock for both the patient and their loved ones. This “shock” can present itself in many ways such as depression, denial, anger and withdrawal. It is very helpful to remember that this person and family have just lost all “control” over their life. Telling someone that they are terminally ill and that there is no reversing the process requires those around the family to have a strong and supportive presence. There are so many difficult emotions we may want to express but finding the adequate words can be a challenge. We may fear saying the wrong things and the last thing we want to do is make this situation harder for all involved. Sometimes it may take awhile to be able to say anything at all, and that’s okay. Just know that being a kind and supportive presence during this time can make all the difference to a patient and their family and it isn’t necessary to say much, but here are tips to help you navigate this part of the process. – Be an incredibly good listener. – Ask the family “What can I do for you?” (Little things such as cooking food, cleaning, caring for a pet, sending cards or making tea when others are around can be very helpful). – Ask the patient “How are you feeling today?” (Starting by asking this question may give you an idea of what they want to talk about and how open they want to be with you). – Allow them to give direction. (This gives them back some sense of control in a time when they need it most). – Look for any immediate issues that need to be addressed. E.g. safety, pain, exhaustion of patients and caregivers. (Although your attention will mostly be on the patient, it is important to never forget about the caregivers. Sometimes the best thing you can do is offer support to the caregivers so that they have the strength and energy to care for the patient). – Say “I’m sorry” or be overly sympathetic to their situation. (Understand that not everyone will respond well to feeling as though others pity them. It is okay to express sorrow for their circumstances but avoid “feeling sorry for them”). – Give direction or opinionated advice on things that aren’t direct issues to patient or caregiver safety. (Never, ever offer suggestions or ideas for treatment or cures. Do not try to “fix” the situation. They will ask you for your advice if they would like it). – Take over. (This is about what they want, not what you want. Respect their wishes always). Why is this important? It is vital to establish trust and security with a patient and their family at this time when their world has been turned upside-down. The best way to achieve this is through being a strong, solid support. Meet the patient and family “Where they are” in their process and work from there. Building trust sets the tone for your entire journey with them. In this episode of "Ask a Death Doula" We will be talking about how to care for the Elderly. With a holistic model of caring, Doulagivers has developed an Elder Care Doula Training with a heavy emphasis on the importance of bringing back the awreness and importance of caring for this vulnerable population. Through education, kindness and compassion, we can help to support our elderly and the families that care for them. In this podcast, you will learn the alarming statistics of our elder population and what we need to do in order to support this increasing aging population.